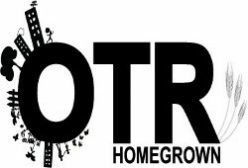 ~ OTR Homegrown is an organic urban farm, which cultivates ecological stewardship and social welfare through sustainable practice. OTR Homegrown works to provide local access to healthy, local foods for the Greater Cincinnati area. 2009 – Established high-producing urban farm (760sq.ft. raised beds) on Walnut St., increasing community access to healthy local food. Established 2 high-producing, for-profit urban farms on Pleasant St.
2010 partners: Findlay Market, Civic Garden Center, Cincinnati Human Relations Commission, The City of Cincinnati (Parks Dept. ).